A community in Thessaloniki for anyone interested in digital analytics. We hold discussions on data collection, data analysis and interpretation from electronic devices and the web. The aim of our meetings is to hold discussions on how to improve existing technologies, but also to try to solve the problems we face with those who deal with this subject. During his master’s degree he developed his management and critical thinking skills, about wider issues outside narrow technology boundaries. By studying research papers and reviewing real life business problems and processes, he acquired better understanding on how to better use technology to achieve business objectives. On the final year of his studies he started research on how to optimize online advertising by examining online trends and cost. The rest of the courses he attended were focused on economics, statistical analysis and accounting legislation. His high school studies were completed in a multicultural environment with faculty and students from multiple countries. He attended all science courses (i.e. Mathematics, Chemistry, Physics, Biology) in German and the rest of the courses in Greek. He also attended additional German courses as part of the school’s programme. This work was an attempt to automate tracking of terms and phrases that can be used as keywords in online advertising campaigns. The goal is to optimize the investment of a specific budget that will be used in paid search advertising. 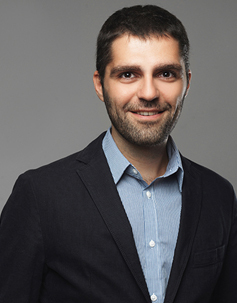 In this thesis he implemented a technique that can provide insight into decision making on the strategy to be followed by an advertiser, when planning online marketing campaigns. The ultimate goal is to automate the process to the fullest extent. For this purpose he used multiple sources of data on the movement of Internet users and the tendency of their searches around issues, related to the sites being considered. The combined knowledge of these sources can be a useful tool for the extraction of results, since it offers rapid analysis of data, which under real conditions is not feasible to do, without the use of automated methods. The data used to evaluate the conditions which will be proposed by the system, are based on the analysis of the search volume over time to identify the conditions which of upward search trends. The cost of using them in campaigns is also taken into account in order to propose conditions that will increase the efficiency of the initial capital. While ensuring the relevance of the terms used techniques that extract keywords from log files of site traffic coming from site monitoring services (e.g. Google analytics) and the analysis of this page. Mobile setting considerations provide valuable issues regarding flexible mobile applications. In this paper, we indicated the advantages of an m-commerce application capable to provide users with useful information (e.g. historical buildings, shops, hotels) according to their location. First, the application creates a basic profile of the current user (type of information the user is mainly interested in). Then, in addition with the location awareness of the user’s position the application provides only useful information according to the user’s whereabouts. When the user is alerted that he is in close proximity of one place that he is interested in, he has the option to access more info about it (streaming video or photo and text). The application is implemented using the Java Micro Edition (Java ME) platform and is mainly making use of the Location API, which provides information about the device’s present physical location and orientation. The customized information is stored online and is accessed only when user needs it.